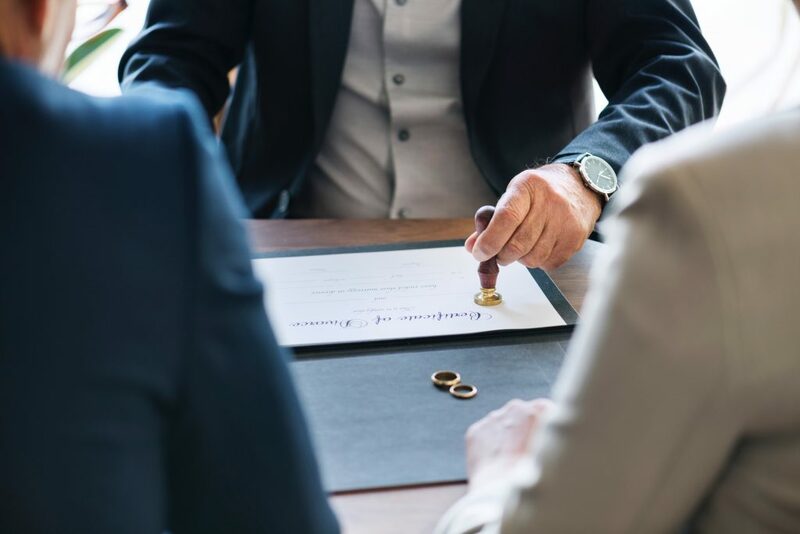 Divorce or dissolution of marriage cases can vary dramatically in cost depending on what is involved, complexity, and the amount of work that is required. In a divorce in which the husband and wife already agree on all matters such as support, property, custody, and child support, a fixed fee may be appropriate, providing the case remains uncontested. Since legal fees are partly determined by the services rendered, it usually is not possible to determine in advance the total fee for a case that has any contested issues. In such a case, we would tell you our minimum fee, the amount of time we would credit you for that fee, and our hourly rate and fees beyond that should additional work be required. Lawyers may not charge contingent fees in divorce cases. Sometimes in a divorce the court may order the other side to pay all or some of the fees and costs incurred. In addition to legal fees costs may be incurred. At a minimum there is a filing fee, unless you can establish indigence. For instance, the Miami-Dade County Clerk of Court presently charges $409 for the filing of a divorce plus a credit card processing fee. There can be other court costs associated with issuance of a summons and otherwise. Litigated cases usually entail costs associated with records requests, subpoenas, and depositions. Where child related issues or mental health issues are contested there may be costs associated with experts in the field and court appointed professionals. Where financial issues are contested there may be costs associated with experts such as appraisers and forensic accountants. If you need an estimate of the costs of a divorce please call us on (786) 539-4935 so we can identify the issues in your case and determine if your case qualifies for a flat fee or the amount of the minimum fee that will be required. What Needs To Be Established For A Domestic Violence Injunction? To get a domestic violence injunction restraining order it needs to be established the petitioner is a victim of domestic violence or is in imminent danger of becoming a victim of domestic violence. Domestic violence includes: any assault, aggravated assault, battery, aggravated battery, sexual assault, sexual battery, stalking, (including cyber stalking) aggravated stalking, kidnapping, false imprisonment, or any other criminal offense resulting in physical injury or death of one family or household member by another family or household member. §741.28(2). 1. The history between the petitioner and the respondent, including threats,harassment, stalking, and physical abuse. 2. Whether the respondent has attempted to harm the petitioner or family members or individuals closely associated with the petitioner. 3. Whether the respondent has threatened to conceal, kidnap, or harm the petitioner’s child or children. 4. Whether the respondent has intentionally injured or killed a family pet. 5. Whether the respondent has used, or has threatened to use, against the petitioner any weapons such as guns or knives. 6. Whether the respondent has physically restrained the petitioner from leaving the home or calling law enforcement. 7. Whether the respondent has a criminal history involving violence or the threat of violence. 8. The existence of a verifiable order of protection issued previously or from another jurisdiction. 9. Whether the respondent has destroyed personal property, including, but not limited to, telephones or other communications equipment, clothing, or other items belonging to the petitioner. 10. Whether the respondent engaged in any other behavior or conduct that leads the petitioner to have reasonable cause to believe that he or she is in imminent danger of becoming a victim of domestic violence. Pursuant to Florida Statutes Section 61.14(b)(1) a court may reduce or terminate an award of alimony upon specific written findings by the court that since the granting of a divorce and the award of alimony a supportive relationship has existed between the obligee and a person with whom the obligee resides. The burden is on the obligor to seek the modification and prove by a preponderance of the evidence that a supportive relationship exists. In Pollack v. Pollack, the Fifth District Court of Appeals for the State of Florida confirmed that a termination of alimony on such grounds should be retroactive to the time of filing a petition for modification rather than the beginning of the supportive relationship itself. Delaying in the filing a petition for modification can cost you the alimony payments owed between the time of the beginning of the supportive relationship and the time of actual filing of the petition for modification. A party seeking the modification on such grounds will want just enough time to pass to be able to obtain and present clear evidence of the supportive relationship to the court. If you need to talk to one of our lawyers about the modification of alimony, please call our office to schedule a consultation. Child support does not automatically modify when there is a change in circumstances that warrants it, a party must file a supplemental petition for modification of it. When there has been a substantial change in circumstances warranting a modification of child support a parent needs to file a supplemental petition for modification of child support as soon as possible after the change has occurred as a court can only modify child support from the date of filing of the supplemental petition. Where courts have attempted to modify child support from before the date of the supplemental petition they have been reversed on appeal. For instance, in Tatum v. Tatum the Fifth District Court of Appeals for the State of Florida reversed the trial court’s decision to retroactively modify child support to a date prior to the date of the filing of the petition for modification. 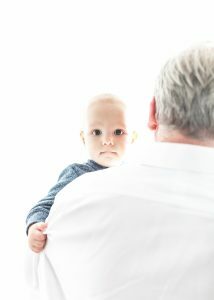 If you need to seek an upward or downward modification of child support you need to get your supplemental petition filed as soon as possible after the substantial change in circumstances has occurred so that it the change can be retroactive to as close to the date of the change warranting the modification as possible. What Happens To My Pension And Retirement In My Divorce? In a divorce the marital portion of the pension or retirement plan is going to be subject to valuation and equitable distribution. The non-marital portion should not be subject to equitable distribution by the court. All vested and non vested pensions, retirement, profit sharing, thrift savings, annuities, or insurance acquired during the marriage constitute marital property. Since only that part of the pension or retirement that accrued during the marriage is a marital asset a court will look to see the premarital and post marital contributions and the increase in value that relates to each. 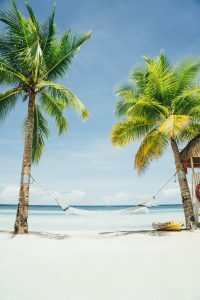 Often a Qualified Domestic Relations Order is entered which directs the administrator of a retirement plan to divide the retirement and award the marital portion to the plan holder’s spouse. After the court has divided marital assets and debts in equitable distribution in can also consider a pension or retirement as a potential source of funds for an alimony award when performing its need and ability to pay analysis. If you have questions regarding a retirement or pension in the context of your divorce please contact one of our lawyers on (786) 539-4935. If you hope to obtain an attorney’s fee award, temporary support, or alimony in a divorce case you need to present evidence to the court of your need and the other parties ability to pay. Evidence presented should include the standard of living established during the marriage; the contribution of each party to the marriage; the responsibilities of each party in relation to any minor children; the duration of the marriage; the age and the physical and emotional condition of each party; the financial resources of each party; the earning capacities, educational levels, vocational skills, and employability of the parties; and the sources of income available to the parties. The court then needs to make specific findings based on that evidence presented. In Abbott v. Abbott, the First District Court of Appeals reversed the trial court’s award of attorney’s fees and alimony because it had failed to make any findings of fact with regard to the wife’s need, the husband’s ability to pay, the parties’ incomes and expenses, and the applicable statutory factors. The attorney’s fee award was not supported by the findings necessary to support it either. Specifically, the trial court failed to make any findings of fact with regard to the Former Wife’s need for alimony and the Former Husband’s ability to pay, the parties’ incomes and expenses, and the factors listed in Florida Statute Section 61.08(2)(a)-(j). Appellant, the Former Wife, appeals the final judgment of dissolution of marriage, arguing that the trial court erred in its calculation of the permanent alimony award, in denying her request for retroactive alimony, and in failing to make the requisite findings of fact pursuant to section 61.08, Florida Statutes (2013). The Former Wife also asserts that the trial court erred in awarding her only $5,000 in attorney’s fees and by failing to make any findings of fact on this issue. Because the trial court failed to make sufficient factual findings to allow for a meaningful review, we reverse the alimony and attorney’s fees awards. The trial court denied the Former Wife’s motion for rehearing, in which she argued in part that the trial court failed to make the requisite findings in awarding alimony, in not making the alimony payments retroactive, and in awarding attorney’s fees. This appeal followed. The trial court’s alimony award is reviewed for an abuse of discretion. Broemer v. Broemer, 109 So.3d 284, 289 (Fla. 1st DCA 2013). 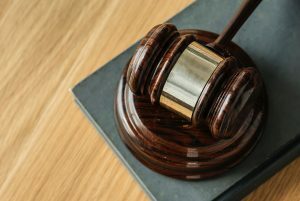 An appellate court will not disturb an alimony award if it is supported by competent, substantial evidence and the trial court complied with the law, but it reviews the trial court’s application of the law to the facts de novo. Id. Section 61.08, Florida Statutes (2013), governs the award of alimony and provides in part that “[i]n all dissolution actions, the court shall include findings of fact relative to the factors enumerated in subsection (2) supporting an award or denial of alimony.” Subsection (2) in turn requires the court to “first make a specific factual determination as to whether either party has an actual need for alimony or maintenance and whether either party has the ability to pay alimony or maintenance.” Id. If the court finds that a party has a need for alimony and the other party has the ability to pay, then, in determining the proper type and amount of alimony, “the court shall consider all relevant factors, including, but not limited to” those enumerated in subsection (2)(a)-(j). Id. Those factors include the standard of living established during the marriage; the duration of the marriage; the age and the physical and emotional condition of each party; the financial resources of each party; the earning capacities, educational levels, vocational skills, and employability of the parties; and the sources of income available to the parties. Id. Additionally, “[i]n awarding permanent alimony, the court shall include a finding that no other form of alimony is fair and reasonable under the circumstances of the parties.” § 61.08(8), Fla. Stat. The trial court’s failure to include in the final judgment the requisite findings of fact relative to the factors enumerated in section 61.08(2) generally constitutes reversible error because, in most cases, it precludes meaningful appellate review. Winder v. Winder, 152 So.3d 836, 840–41 (Fla. 1st DCA 2014) (reversing the permanent alimony award to the wife because the final judgment lacked sufficient factual findings as required by section 61.08 where the trial court did not make findings regarding the wife’s current living expenses, the parties’ financial resources and the sources of income available to them, the value of the assets and liabilities distributed to each party, the standard of living established during the marriage, and each party’s contribution to the marriage, and reversing for the additional reason that the trial court failed to expressly find that no other form of alimony would be appropriate); see also Watson v. Watson, 124 So.3d 340, 343 (Fla. 1st DCA 2013) (noting that the trial court failed to include in the final judgment all the findings required by section 61.08(2) and directing the court to make those findings on remand); Galstyan v. Galstyan, 85 So.3d 561, 564 (Fla. 4th DCA 2012) (“In determining ability to pay, the trial court must make specific findings of fact regarding the paying spouse’s financial resources.”); Gray v. Gray, 103 So.3d 962, 964–67 (Fla. 1st DCA 2012) (reversing the alimony award because the final judgment failed to include sufficient factual findings). Further, the trial court may award retroactive alimony when appropriate, but it must be based on the receiving spouse’s need and the paying spouse’s ability to pay. Valentine v. Van Sickle, 42 So.3d 267, 274 (Fla. 2d DCA 2010) (noting that the trial court made no findings about the parties’ incomes between the time of the divorce filing and the entry of the final judgment as required by section 61.08); see also Vitro v. Vitro, 122 So.3d 382, 385 (Fla. 4th DCA 2012). Lastly, a trial court’s award of attorney’s fees is reviewed for an abuse of discretion and is controlled by section 61.16, Florida Statutes. Mitchell v. Mitchell, 141 So.3d 1228, 1229 (Fla. 1st DCA 2014). Section 61.16(1), Florida Statutes (2013), provides that “[t]he court may from time to time, after considering the financial resources of both parties, order a party to pay a reasonable amount for attorney’s fees, suit money, and the cost to the other party of maintaining or defending any proceeding under this․” The purpose of section 61.16 is “ ‘to ensure that both parties will have a similar ability to obtain competent legal counsel.’ “ Broemer, 109 So.3d at 290 (quoting Rosen v. Rosen, 696 So.2d 697, 699 (Fla.1997)). “A trial court must determine the ultimate issue of fees and costs after the dissolution proceeding concludes, based on the parties’ respective financial circumstances.” Id. “[A] trial court reversibly errs when it awards attorney’s fees without making the requisite findings as to the proper amount,” “ ‘even if there is competent, substantial evidence to support the award.’ “ Mitchell, 141 So.3d at 1229 (internal citation omitted). An order to pay a portion of the spouse’s attorney’s fees must be based on the requesting party’s need and the other party’s ability to pay the fees. Winder, 152 So.3d at 842. “ ‘The trial court must [ ] make specific findings as to the hourly rate, the number of hours reasonably expended, and the appropriateness of reduction or enhancement factors.’ “ Id. (internal citation omitted). “ ‘A dissolution order directing a party to pay the other party’s fees and costs, which recites simply that the total amounts “are reasonable time spent and hourly rates,” is insufficient under [Florida Patient’s Compensation Fund v. Rowe, 472 So.2d 1145, 1150 (Fla.1985) ].’ “ Id. (internal citation omitted); see also Mitchell, 141 So.3d at 1229–30 (reversing in part and remanding to allow the court to make the requisite findings where the final judgment merely recited that the hours and hourly rate in the wife’s affidavit of attorney’s fees and costs were reasonable, but did not make specific findings as to the number of hours expended by the wife’s attorney or whether those hours were reasonable, as required under Rowe ); Bradham v. Bradham, 120 So.3d 1274, 1276 (Fla. 1st DCA 2013) (reversing and remanding the attorney’s fees award where the trial court found that the former wife had a need for a contribution to her attorney’s fees and costs and the former husband had an ability to pay, the former wife submitted an affidavit from her attorney’s law firm attesting to the fees and costs incurred and detailed records of the hourly rate and hours expended, but there was no indication that the trial court considered the Rowe factors); Ard v. Ard, 765 So.2d 106, 107 (Fla. 1st DCA 2000) (reversing and remanding the attorney’s fees award where there was competent, substantial evidence in the record to support the award, but the trial court failed to make factual findings regarding the total number of hours expended by the appellee’s attorney, the hourly rate, or the reasonableness of the fee). Here, the trial court failed to make any findings of fact with regard to the Former Wife’s need for alimony and the Former Husband’s ability to pay, the parties’ incomes and expenses, and the factors listed in section 61.08(2)(a)-(j); as such, we are constrained to reverse the alimony award, especially in light of the conflicting evidence that was presented during the hearing about her monthly expenses and his income. We likewise must reverse the attorney’s fees award because the trial court did not make any findings of fact about the parties’ need and ability to pay, the attorney’s hourly rate, the number of hours reasonably expended, the reasonableness of the fee, and the appropriateness of reduction or enhancement factors. Copyright © 2019 The Law Offices of Robert J. Hanreck, P.A. All Rights Reserved. Disclaimer: The Law Offices of Robert Hanreck, P.A. is based in Miami , Florida and serves clients throughout the State including Miami-Dade and Broward counties. We are licensed to practice law in the State of Florida. This website is intended for informational purposes only and is not meant to constitute legal advice, or solicit clients outside of the State of Florida.